In this piece, we take a look at the trends shaping the financial services industry to bring you up to speed on events. Contact center solutions have evolved from answering the phone to fully managing every aspect of operations including customer relationship management (CRM), data analysis, and market research. In spite of this, some still believe that contact center operations have failed to take full advantage of cutting edge technologies that could ensure better customer service delivery. The good news is that we are in the era of technological breakthroughs that will change contact center operations as we know it. 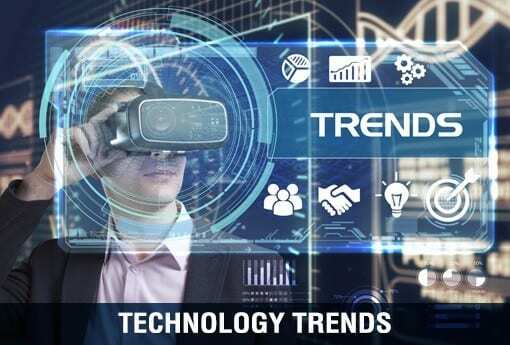 In this article, we provide insights into some of the technologies that will benefit contact centers in 2019. Quality customer service delivery is a key prerequisite for ensuring customer satisfaction. Capturing, storing, and analyzing data about every interaction a client has with your call center allows you to react promptly and tailor your customer service program in a way that increases loyalty. This is because collecting information about your customers provides you with the data you need to understand what they like or why they were not satisfied. Call recording and speech analytic programs like Recordia enable you to collect and interpret data so that you can improve the customer experience. Technologies such as speech analytics enable call centers to process speech/audio to understand what a customer wants and how they feel when they call the customer care. Today’s modern, tech-savvy consumers are very demanding in their quest for a great customer service experience. They expect to be able to reach businesses on any platform, anywhere, and from any device. To increase customer loyalty, sales, and overall profitability, more and more companies are deploying omnichannel customer service techniques that provide clients with seamless interactions across all channels including telephone, email, social media, chat, text, etc. Chatbots are increasingly being implemented by companies in contact centers to raise the level of customer service, stay in touch with anyone who shows interest in their products or services and convince them to buy. A chatbot is typically used in dialog systems to provide some human feel to automated communications to build a rapport with the client and ensure better sales. Also, it allows organizations to automate customer service live chat conversations and conducts conversation through both audio and text methods, allowing for personalized customer service that creates engagement at a higher level. Chatbots complement human agents by responding quickly to simple queries online, freeing human agents up. AI-powered digital solutions are one of the essential technologies that are gradually making their way into contact centers. More and more businesses are incorporating these technologies in an effort to transform customer service interactions to improve the customer experience, loyalty, brand recognition, and the bottom line. AI-powered intelligence agents, through their pre-emptive problem-solving approach, ensure customer satisfaction and increase in sales, thanks to their ability to continually digest data from dozens of information streams to make sense out of prior interaction and customer preferences. This enables them to deeply understand the clients and serve up personalized content and product recommendations that will boost sales. 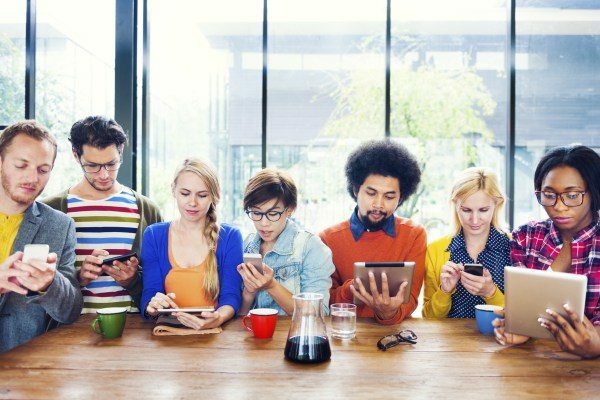 During the last a few years, millennials have already been upending the customer market as businesses struggle to get the easiest method to attract the world’s first group of electronic natives, a wily lot whom thrive on invention, automation and also all of the tech gadgets that are latest. As more of these young-adults go into the employees and start invest in their futures, businesses are speedily understand they may have to transform their approach to attraction to this demographics’ distinctive set of needs and also objectives, which take course to totally disrupt the status quo. In a nutshell, it can’t just be business as usual with the generation that is Smartphone. As millennials have already been burdened with a few unattractive labels in modern times, as well as selfish, entitled and award kids, this tech confidence bunch has also been sleeted for being more progressive and also available to new ideas than earlier generations. Millennials value transparency in addition to convenience. They basically demand to possess a modified products or even services at their fingertips anywhere and also when they need it, according to research that centers on how banks could recreate themselves in the age of millennial. These types of defining attributes are just what companies require to bear in mind if they wish to maintain their competitive edge in this climate of lightning-fast technological change. It has not ever been truth than for fintech, an industry I have watched develop into becoming more hands on, easy to use and also amusing, thanks towards the computerization that is advanced AI technologies which has flooded the IT-sphere. Many fintech businesses have seized upon a distinct segment possibility. They realize that old-fashioned investment and banking avenues are becoming quickly phased down. In reality, 58% of Americans believe that financial institutions will no longer exist in their form that is present within next couple of decades. In reality, a lot of big banking institutions have already implemented mobile applications so that you could match shifting customer styles, which are rapidly moving towards the digitization that is complete of sector. Fintech is using this process a step further by essentially replacing (human) financial advisors with robo-advisors that use big data, machine learning and also AI to basically cherry pick the best investment opportunities for this new generation of investors. As the Chief Executive Officer of my own mobile app and web development store, I have caused a serious few fintech startups over the very last decade that understand the importance of targeting the requirements of this customer base that is valuable. I’ve been keeping a keen eye on this sector, pleased to see that the market is filling with investment platforms geared toward my generation. AI, machine customer and learning service anytime, anywhere is where the future is headed. Businesses hoping towards capitalize on consumers changing mindsets, with millennials leading the cost, will need to fine-tune their jump or approach off the bandwagon. Those that have not began automating their services to appease the more youthful generation’s demands for transparency, ease and cool, interactive user interfaces have actually about another couple of years to get up or risk extinction. 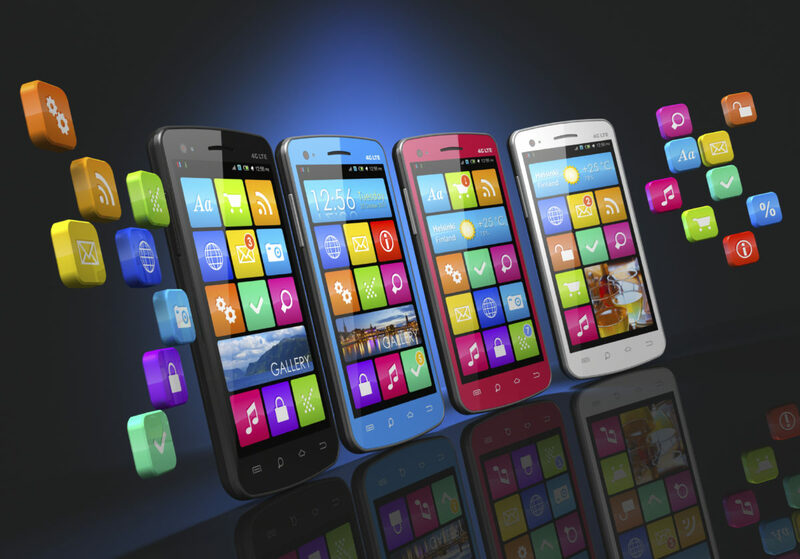 When it comes to the world of app development, it is safe to say that app developers work in one of the most fast paced and evolving industries. Their skill set is required to evolve continuously and only the very best are considered to be at the forefront of innovation in such a competitive field. While in the past app development involved a more specialised focus, today our applications developers tend to be penned as needing to be a jack of all trades. While understanding how things are developed is essential, there is also the added fact that they must understand app security and a range of other services too. User experience can be attributed to a range of different factors and what is becoming more significant is the fact that the expectations of users has increased dramatically in recent years. Today users have become more used to apps and the way that they work and this, alongside the fact that they have options, is precisely why app developers are faced with additional challenges with their work. One of the other important skills that an app developer will need to be familiar with is that of working under an agile methodology. Agile is essentially a software development method that offers a continuous and adjusting stream of responses to various problems that may crop up along the process of a project. These solutions are established through the use of self-organised teams that work in a cross functional manner, thus forming strong collaborations as a result. While it is not the be all end all to have a degree in order to become an app developer you will most certainly need to have some form of academic qualifications, whether this is collected through experience working for a company or completing short courses, this is something that is vital to get into such a highly competitive industry. Essentially, the most important thing is to be able to ‘wow’ your hiring manager with a range of skills that will really highlight that you know your stuff when it comes to creating apps that are of a high standard. App developer jobs are highly sought after, so if you are looking to find work in an exciting and constantly evolving industry and are highly computer literate, then this may be the position for you! One of the fastest ways entrepreneurs can grow their business is to utilize online and digital mediums. Search engine, blog or content, social media, video, audio, etc., are some of the tools that can help you promote your business effectively and give you the visibility you need to improve your bottom line. What Really is Digital Branding? Digital branding is a modern marketing strategy that is adopted by businesses to woo customers online. 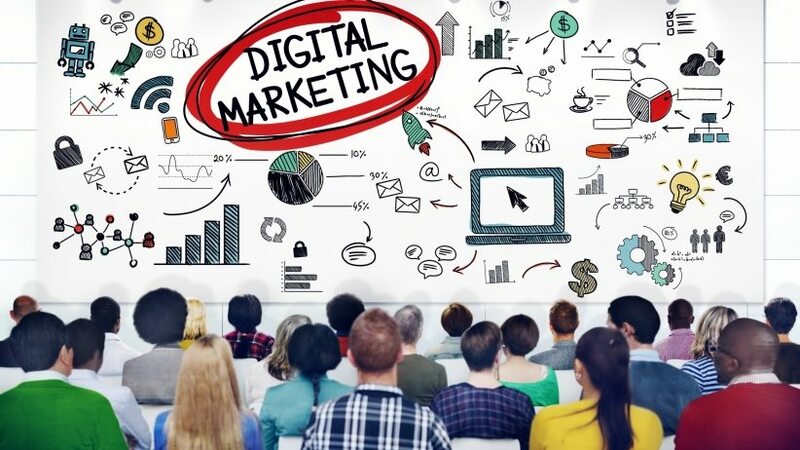 It includes the use of online marketing techniques such as search engine optimization (SEO), content marketing, social media channels, paid digital advertising, etc. Digital branding is the bedrock of modern marketing. It gives organizations a broader reach regarding being read and seen by the mass public in different parts of the world, enabling businesses to build a digitally visible presence. 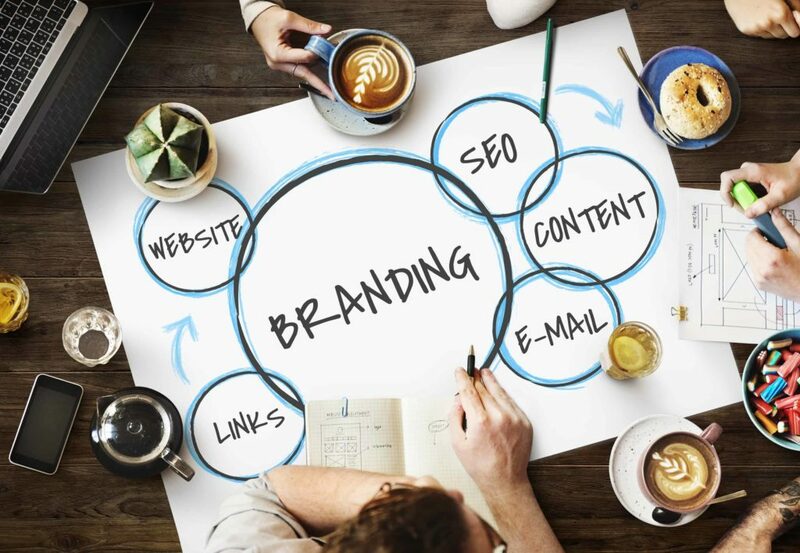 Digital branding gives you an avenue to build customer loyalty and take advantage of opportunities: Digital branding provides organizations with a powerful technique to better connect with their target audiences, follow market trends, as well as respond to market needs. Engaging your target audiences enables you to build customer loyalty and drive client demand. Reach more people: The advent of the internet means that you can use multiple online platforms such as social media sites, advertisements, chat sites, etc., to expand your audience reach. Personalization: By permitting you to connect with consumers via multiple channels, digital branding gives you an opportunity to listen to client needs, emotions, wants, and personalities. Having all these information enables you to adapt the customer experience to customers’ specific needs. This improves the customer experience and makes your customers feel special, building customer loyalty as a result. Higher conversion rates: Convenience is one of the best ways to make consumers love your organization. Search engine optimization can help give you better positioning in search engines. The higher up the rank you are, the greater your visibility, and the higher your conversion rates, as ranking top enables you to achieve higher click-throughs. Higher conversion rates ultimately result in increased revenues. Other acts that can help boost your conversion rates include creating a blog, allowing product reviews, or opening a forum. 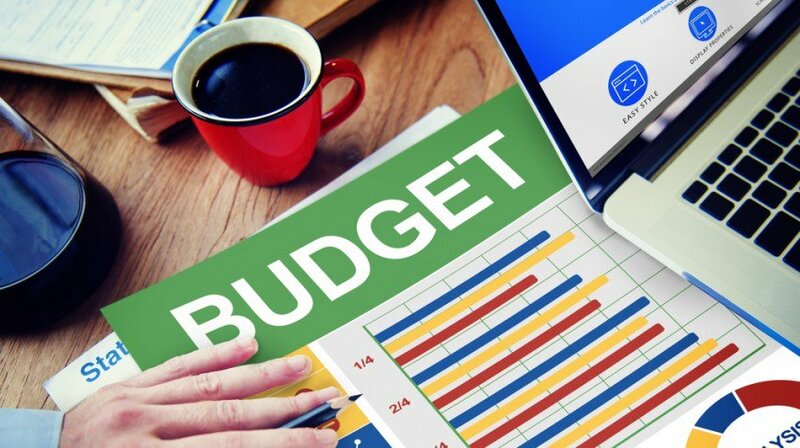 Cost-effective: The cost of digital branding is considerably cheaper than traditional marketing techniques. All businesses need exposure; digital branding exposes you to the right kind – a global audience. This means a significant opportunity to become popular, sell your product or service, and create opportunities for your business to perform. Customer Loyalty Programs Start Using Artificial Processes and Strategies! Everyone knows that increasing customer loyalty is all about making bigger profits, creating a group of raving followers and finding customers at a faster and cheaper price. In the long run, customer loyalty can do wonders to your business. 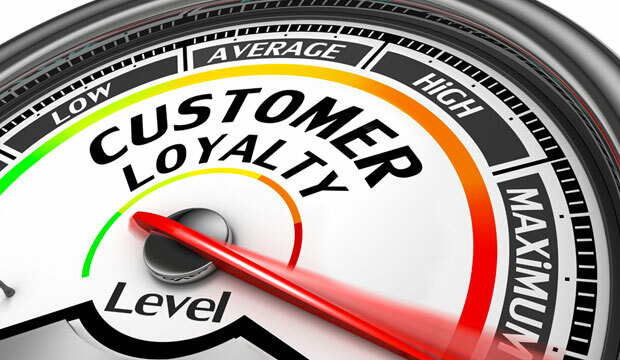 However, there are many questions and debates on how to ensure customer loyalty! Can your customer support knowledge base help you understand what customers really need? Can you use knowledge base support software to judge the requirements of customers online? Is it possible to use artificial intelligence to understand and improve customer loyalty? According to experts, the answers to these questions is a big yes! Yes, you can go beyond manual, traditional methods and use software programs and artificial intelligence to boost customer loyalty. Few months ago, Joseph Nunes and Xavler Drez made news. The whole world learnt more about their customer loyalty adventures. This duo experimented a new type of customer loyalty program at a local car servicing center. The consumer researchers rewarded 300 customers at the car wash with loyalty cards. Half of these loyalty cards expected customers to make eight transactions before winning a free service or car wash. The rest, needed ten transactions. However, there was a small twist to the story. The company offered two free bonus car washes as a head start. This means, their business began with free services. In both these situations, potential customers had to make eight transactions for a free service. But, there is a small amount of difference in how complete the offers are. In offer one, the customers were zero-percent complete. On the other hand, offer two ensured 20-percent of completeness. Now, you might wonder if the customer support knowledge base and this “Artificial” progress would ensure customer loyalty in return. In the next few months, the duo noticed that 1/5th of the customers opted for the first offer. And, ½ of the customers chose the second option. This clearly proves an increase of 80% in terms of customer loyalty. Indeed, artificial progress has helped the car wash enjoy a better level of customer loyalty. If you are planning to venture into customer loyalty, you must invest some time and effort on artificial progress. This is a smart way of introducing your business to new customers. Meanwhile, it is a strategic way of helping customers continue your products and services. The time required to witness the impact of artificial progress may appear long, yet it is worth your time and effort. Before you start focusing on your customer support knowledge base and invest on knowledge base software, you must have a clear understanding of what customer loyalty is all about. If you are an author, customer loyalty for you is represented by the number of people reading your books. For instance, if someone buys all your three books, they can be treated as a 100% loyal customer. And, if someone chooses to read only your book only once, they are less likely to return. If you are a designer or a consultant, customer loyalty is identified by the number of people asking for your services. If people keep requesting for your services, you are on high demand! For example, if I approach the same designer for all my needs that is 100% customer loyalty. If you want your business to endow and enjoy the benefits of customer loyalty, you must stick to a structured process. Here are three steps you must follow as a part of improving customer loyalty over the internet and using artificial intelligence to give it a boost further. First of all, you must appreciate the fact that artificial progress can help you. Don’t think twice to make use of endowed progress. After all, every business needs customers and goals to focus on. You might be venturing into an eBook, design service or hourly consultation, the business doesn’t really matter. Artificial progress can help you. When paired with knowledge base software, it turns into a power tool for any business. Everyone knows that customers are longing for efficient and effective services. However, loyalty goes beyond these elements. Today, you must educate customers on what has to be done for better servicing and products. Companies must be specific about behaviors and actions that can be rewarded. Why would you reward your customers and keep them loyal? Do you intend to reward all your customers? Or, do you wish to reward customers who refer and advertise your business? Or, do you wish to reward customers who have stayed with your business for a long time? It is important to decide what your loyal customers must have done or do. This is when knowledge base software programs become useful. These software programs will help you keep track of customers. You will be able to monitor every customer individually. In the long run, you will have plenty of data about your customers, what they want and what they have done to become loyal. The best way to exploit any artificial or endowed progress is through knowledge-based support systems. Remember the car wash case study? It would be wise to give your customers a head start. This will be a bonus that adds more value to your business. But, you must not give a head start without valid reasons. Always stick to limited bonuses. This route works well when you have to launch a new service or product. The limited time bonus will create a hype and keep your customers geared. Your customers tend to come across various difficulties that can be answered easily. But to cater their questions, it is advised to create a FAQ page that gets most of them covered easily. Not only will your customers get to receive the answers on time but also reduces the workload from your support department. These FAQs can also be linked to well curated tutorials that aid your customers in times of needs. This will boost their loyalty towards your brand and will be more willing to spread the word. A skilled team of customer support agents can help you boost the loyalty factor. But make sure that they are well-trained about your product or service that helps them answer any technical questions. In case you plan on training them or think of developing an ongoing training program, then a knowledge base software can come to your rescue. It can help you develop a training program for your support agents that they can access anytime, anywhere. As they get equipped with the online program, it’ll be easier to get all customer queries resolved in no time. Hence, increasing the existing customer loyalty rate towards your brand easily. If you wish to help your customers reach you at anytime, from anywhere, then it’s important that they find you available at all times. This is also possible if you work towards building a stronger presence across multiple channels. Reason is simple. Your customers would not necessarily try to get in touch with you with emails or calls. They’d also prefer if you make yourself visible on various platforms, so that their options aren’t limited to just one or two. No matter what business you own, building a stronger visibility across multi-channels is important. This helps you satisfy your customers in the shortest span of time possible. What’s great is you not only get to retain customers with prompt responses, but also build a strong relationship with your customers easily. This leads to expanding your customer loyalty further because your organization is taking the effort to reach out to them in time. A great way to build positive points amidst customers. Dan Pink once told, “There is a big difference in what science knows and what businesses really do”. If you want to improve customer loyalty, go ahead and use endowed progress (or artificial progress). This is a tool that can keep customers attached to your business for a very long time. Monitoring every single customer and the decisions they take while browsing through your website. Giving them a great head start with valid reasons, so they can stick around with your brand for in the long run. Making yourself available at anytime, anywhere by increasing your presence on various platforms. Building a stronger support team that helps your customers get all the answers they seek when in trouble. Creating detailed FAQ with the help of a knowledge base software. These can help your customers find instant answers to their queries hassle-free. So, do not get worked up on how to get your customers more loyal towards your brand, when the integration of such software can help you resolve the issue successfully. Author Bio:-Robin is a Technical Support Executive. He is an expert in knowledge management and various Knowledge base tools. Currently, he is a resident knowledge management expert at ProProfs. In his free time, Robin enjoys cycling and sky diving. Unlike with a bricks and mortar store, an internet business doesn’t necessarily require a substantial amount of capital for you to get started. If you have a computer, a hard work ethic and a good online business idea, you could soon be making a superb annual revenue. If, however, you are stuck for ideas and are looking for a light bulb moment, here are some online ventures to start with zero money. The beauty of drop shipping is you don’t need to have cash in the bank to sell high-quality products to your customers. For example, you will not need to purchase a large inventory of products, as you will only buy an item from a wholesaler when a customer places an order on your website. Plus, as they will keep the products in their warehouse and will process a delivery to a customer, this can reduce your overheads even further. You will, however, need to find the right product to sell on your website to make a great profit. For example, if you want to develop an e-commerce clothing brand, you should find reputable t-shirts, trousers and hoodies suppliers, which could cater to consumer demand. An internet business also allows you to sell digital products, which should provide your customers with value for money. As you’ll have no physical products to sell, you will not need to worry about manufacturing, warehousing or distribution. You can, therefore, create information products for free, which you can then sell for a fixed price to a customer. It is, however, essential to make sure the digital product is both engaging and useful to generate a sizable amount of sales. If you have extensive experience in a field and believe you have considerable knowledge you can pass on to others, an online consulting business could be an ideal option. It is easy to get started, as you will need to set-up a website, identify a target market, set consultancy rates, and start networking in your industry to attract clients. It can be a rewarding online venture, as it will enable you to earn a living while passing on your expert knowledge to other professionals, which can help them to excel in their chosen field. There are many online video publishing websites that allow you to monetize your videos, such as YouTube. If you can produce high-quality, informative, or entertaining videos on your smartphone or computer, you could earn a substantial profit. To start monetizing your videos, you will need to link your channel to Google AdSense, and you’ll make 68% of the ad revenue. If a user watches 30 seconds or more of an advertisement, you’ll receive around $0.18 for the view, which can amount to a hefty sum over time. In today’s digital age, every business strives to gain competitive advantage through digital marketing. SEO is an instrumental factor in expanding the digital marketing landscape. It aims at increasing the visibility of a website on a search engine. We all know that keyword management is the core of SEO process. Achieving Keyword optimisation is every search marketer’s dream. For that, there are many different technological solutions based on machine learning. These solutions also improve the ranking of a website on the search engine’s search results. However, many times in a quest to achieve a higher rank in search results, search marketers overuse certain keywords. They repeatedly use the keywords thinking that maximum search traffic can be attracted to their websites. But you should strictly avoid this, as certain search engines have officially forbidden keyword stuffing through their algorithm updates. For instance, the “Hummingbird” algorithm update of Google on 22nd Aug 2013 strictly forbids the overuse of keywords. Thus, this is one miniscule SEO mistake you can avoid on your blogs. At times, SEO websites itself have many spam links or irrelevant links which distract the customers. This might discourage a lot of search traffic for your website and will also affect your search result rankings. Also, search engine algorithms will impose some penalty on your website if the links are spam or irrelevant. For instance, the “Penguin” algorithm update by Google on 24th April 2014 forbids spam and irrelevant links on an SEO website. As a result, instead of positive digital marketing, it might lead to negative impact on the image of your site. To avoid this, you can use backlink checker tools which continuously conduct a comparative check of your website’s links with the search engine’s algorithm updates to ensure that there’s no violation. Among the significant problems in Digital Marketing are plagiarism and duplication of content. There has been a considerable amount of copying and duplication of content by fraudulent websites from the original content of authentic sites. Copy pasting or plagiarism discourages the digital marketing industry. While duplication can also be unintentional, but it still affects the websites. There have been algorithm updates of certain search engines over this issue. For instance, on 24th Feb 2011 Google introduced “Panda” update to check plagiarism and duplication. So if you conduct digital marketing on Google, make sure you avoid plagiarism and duplication. You can approach the services offered by Joel House Search Media Brisbane. They will make sure to provide you with the best possible services at the minimum possible prices. Most of the times SEO websites, to make quick and easy money, resort to posting heavily ad-centric content which lacks appropriate quality. As a result, such thin content does not help the online customers at all. This, in turn, will divert all the search traffic from your website. Recently Google introduced an algorithm update named “Fred”, on 8th March 2017 which strictly forbids heavy advertise and low quality in SEO content. Thus, you must ensure that your website provides quality and relevant content with minimum ad-traffic. Many businesses which indulge in digital marketing only have a desktop site. And as you know that today most of the customers conduct their online searches on their mobile phones, they may be discouraged from visiting a desktop-only site. In fact, Google also had introduced an algorithm update named “Mobile”, on 21st April 2015, making it mandatory for SEO websites to have a mobile version of their sites to improve their mobile usability. So you must make sure that you create a mobile version of your website. Digital marketing is a big ocean of marketing opportunities with the help of SEO. But certain points need to be taken care of such as search engine algorithm updates and misinformation. The algorithm updates like Penguin, Panda, Fred, etc. aim at checking content related factors like plagiarism, spam links, etc. So make sure that you comply with all these algorithms and avoid mistakes on your SEO blogs. Author Bio: Christopher Jones is a serial entrepreneur, an angel investor and also a founder and former CEO of a digital marketing agency. He also has been an author of a best-selling book on SEO management. In this post, he has mentioned about the common problems that we can see in blogs as well as how it can be avoided for betterment. He has also mentioned about Joel House Search Media Brisbane services here. From the ever-evolving world of mobile to the rapid development in artificial intelligence; digital marketing is in a constant state of flux. It is a real challenge for digital marketers to keep up with the latest trends and stay in the loop, with cutting-edge technologies and strategies. Here are 5 digital marketing trends that will reshape the industry this year. Instagram, Periscope and Snapchat are allowing businesses to connect with their target audience in real-time. Live video has become an essential component of social strategy as it helps to humanize a brand. Periscope is a live-streaming app owned by Twitter and it allows broadcasts to be auto-published on Twitter accounts, as well. Followers can engage in real-time communication and the broadcasts can be viewed for 24 hours on mobile devices, as well as, desktops. Snapchat is a semi-live streaming app, which removes the pressure of watching a video right here, right now. But, once the video is viewed, it disappears. Also, this app has a feature called ‘story’ allowing a user to create a collection of video to be viewed for 24 hours. It even allows viewers to save the video and upload it to other channels. Instagram, on the other hand, combines the best elements of Periscope and Snapchat. On Instagram Live, followers can watch a video while it is being broadcasted and remove access, once the broadcast is completed. Big Data Analytics is playing a major role in moulding digital marketing campaign and enhancing sales effectiveness. 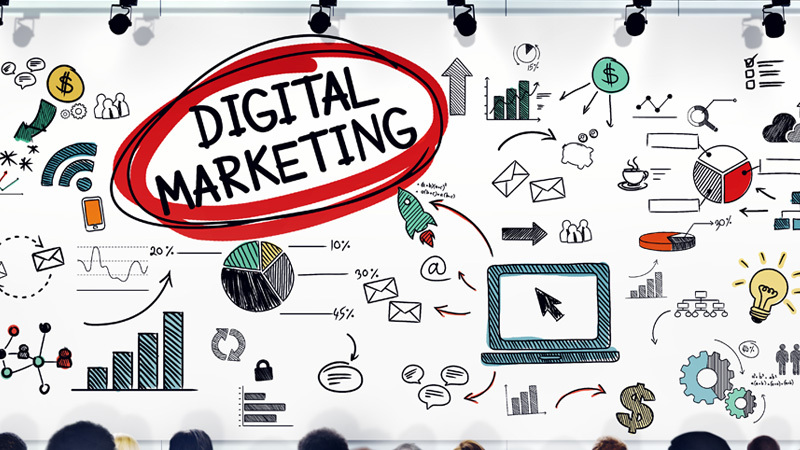 A full service digital marketing company can help you collect data, such as customer information, demographics, interests, behaviors and other relevant business information. The data collected will help you identify shopping & demographic trends and income levels while helping to customize your marketing strategy for meeting specific customer expectations. Big Data will help you in identifying the propensity to convert different behavioral patterns and characteristics of the consumers. Virtual Reality may be a craze among gamers, but it also has huge potentials in marketing. This technology has fundamentally altered the way businesses interact, with their target audience and market their products. While augmented reality (AR) uses 3D model to augment the real, physical world; virtual reality (VR) creates an environment,which is completely different from the one that you are in standing in. In 2016, OnePlus utilized the VR marketing strategy to launch its flagship phone, OnePlus 3. OnePlus teamed up with AntVR, the VR specialists, to create 30,000 Loop VR headsets that were gone just as soon as they hit the markets. The chinese smartphone manufacturer showcased the launch of it’s flagship phone with the help of VR. This marketing strategy went down well with the consumers and the comfortable VR headsets created all the buzz necessary around OnePlus. The use of marketing via wearables is one of the emerging digital marketing trends, due to its wide demographic appeal and the ability to be integrated, with smartphones. It allows marketers to tap into the market by interacting and sharing relevant information to consumers through a personal channel. The market for wearable technology is estimated at a whopping 31.27 billion USD by 2020. With its presence on social media, wearables are a huge push to the healthcare and the marketing industry. Artificial intelligence (AI) and digital marketing bots may not be able to replace humans, but can be utilized to supplement human knowledge and experience. Marketers, via AI, can unlock deeper insights into consumer base and communicate with prospective customers more effectively. It can help eliminate impersonal and monotonous aspects of a marketer’s job. Bots can replace humans in places, such as online customer interaction and answering queries. From virtual shopping assistants to personalized content suggestions, AI is making great strides into the digital marketing industry. For instance, Facebook is making the use of artificial intelligence bots for helping users book a flight, providing answers to health-related questions, providing latest financial news, and so on. The above-mentioned are the top 5 digital marketing trends in 2017 that you need to incorporate, right now, in your digital marketing campaign. Video is a potent online marketing tool if you know how to use it. It is a cost-effective way to extend your reach, enhance your brand, and grow your business. The use of videos is perhaps more important today than ever as consumers are increasingly faced with an abundance of platforms that have become a staple of their daily lives. Today’s consumers are more sophisticated than ever. They are increasingly interacting more and more with on-screen graphics and videos through virtual communities such as YouTube, Facebook, Snapchat, Vimeo, Instagram, and even Twitter. With this in mind, we have identified some of the most exciting statistics for video views to help marketers and individuals understand the power of video as a marketing tool. Technology has revolutionized the means through which customers find product information. The advent of the internet and growing awareness among the mass public means that customers now use the internet to understand a product in detail from every perspective instead of waiting to be sold to. Consequently, marketers are advised to use explainer videos that make complicated things simple by explaining their product features in a way that costumers understand to boost engagement. 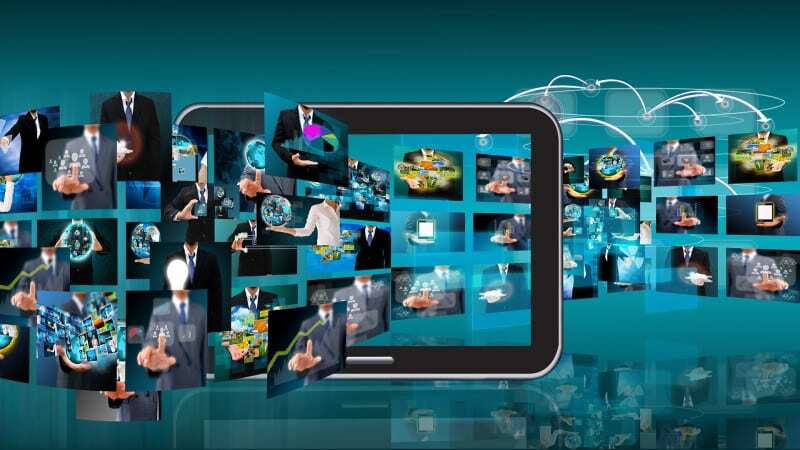 Consumer internet video traffic will dominate other types of traffic, accounting for 80% share of the global market by 2019. Due to its ability to boost engagement, conversation, and sales, 81 percent of companies now use video as a marketing tool.